In specific situations, you may need a possibility to access and restore VMs contained in backup files fast and easily. 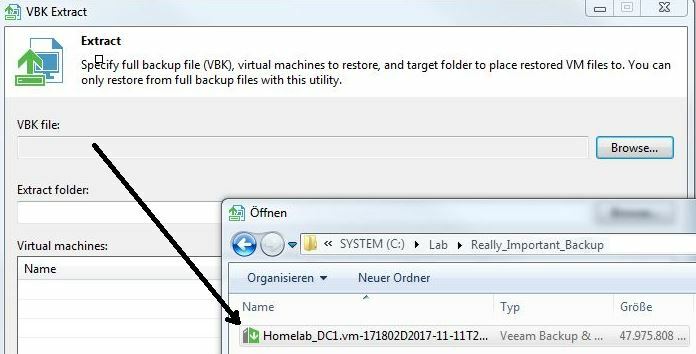 The Veeam Extract Utility enables you to manage this task even without any Veeam installation. Note: before Version 9.5 Update 4 it was only possible to recover from full backup files (.vbk). When finished you can find the extracted virtual machine files in the path specified (Extract folder). 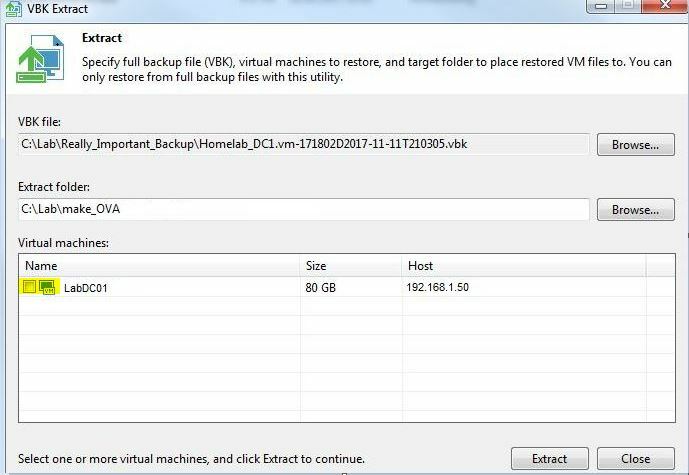 Copy the files to your storage/local disks and add the virtual machine to your inventory. After that, you can power-on the virtual machines as usual. This brief overview of the different backup methods should help you to identify the actuality of full backup (.vbk) files.